December 22nd 1989: Contract signed. September 3rd 1990: Keel struck. 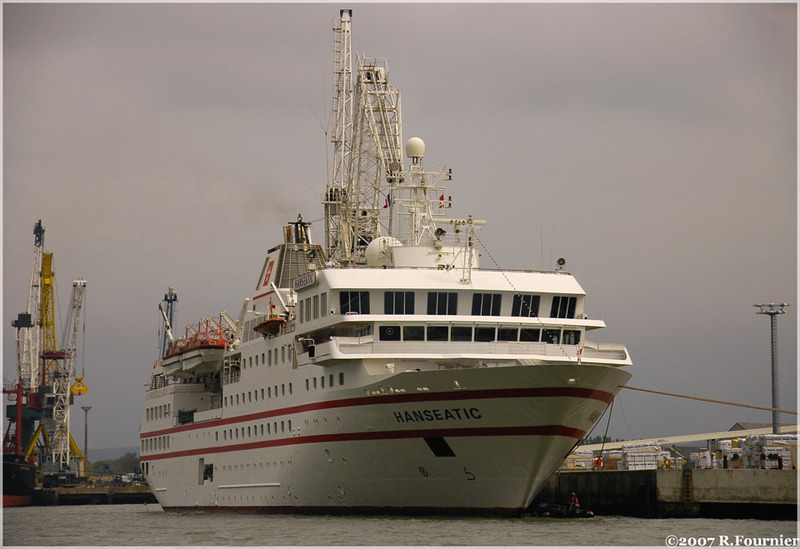 January 5th 1991: Launched as SOCIETY ADVENTURER for Society Adventurer Shipping Co., Nassau, but never sailed under that name, due to the fact that the company declared itself bankrupt and never took possession of the ship. 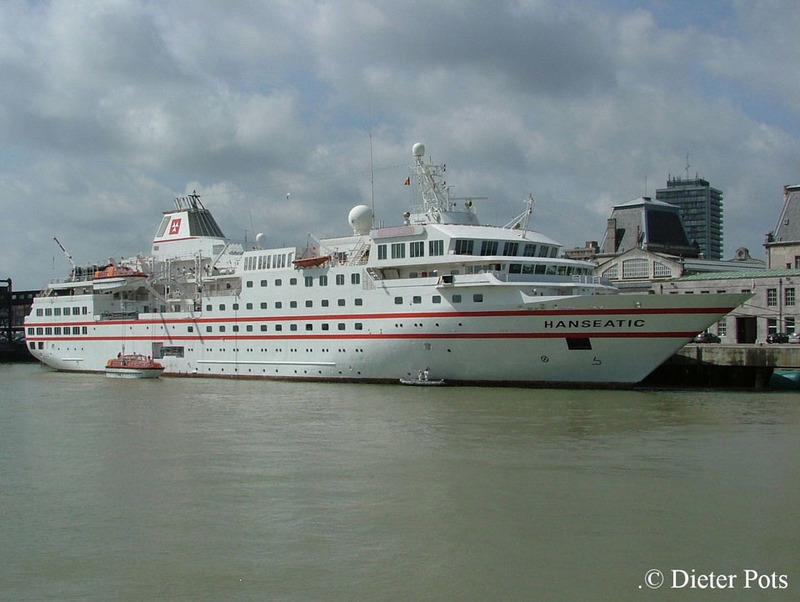 March 23rd 1993: Long term bare-boat charter to Hanseatic Tours for world-wide specialised expedition-style cruises and renamed HANSEATIC. 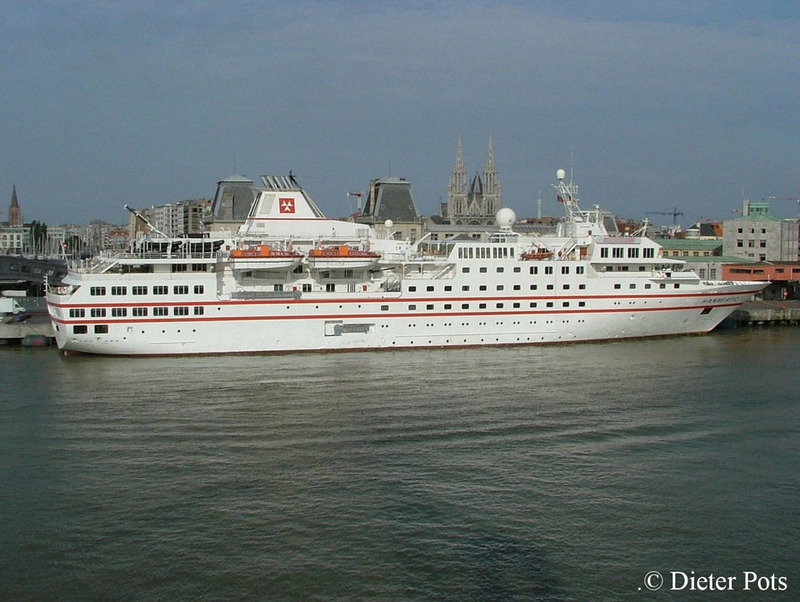 March 27th 1993: Maiden cruise between Hamburg – Seville. August 29th 1996: Ran aground in the Simpson Strait. 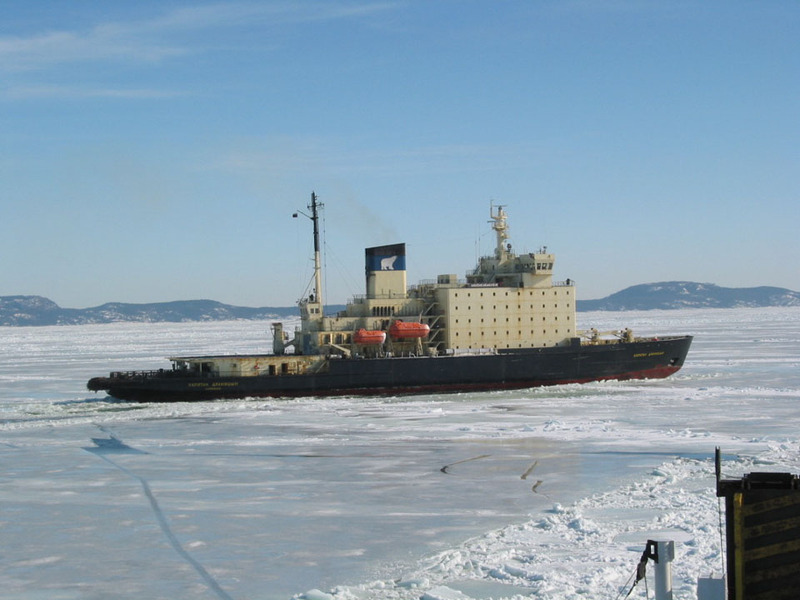 September 5th 1996: Passengers and crew are evacuated to the Russian icebreaker KAPITAN DRANITSYN. September 8th 1996: Towed free and repaired in Canada. 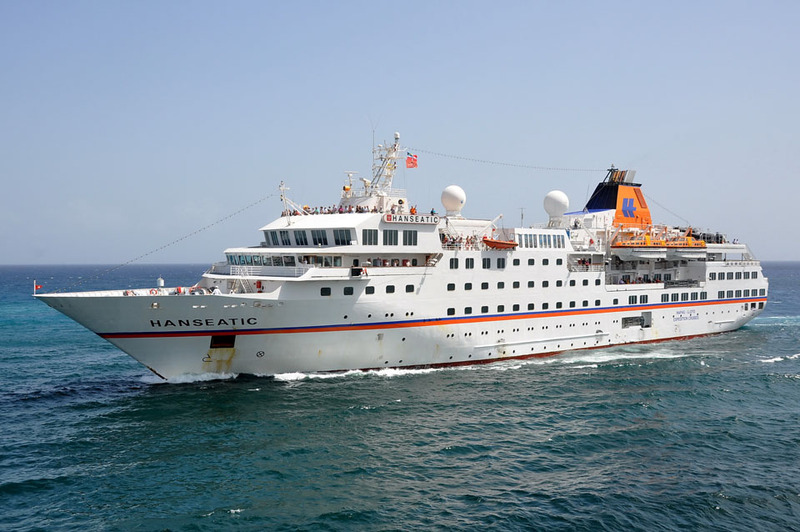 1996: Hapag-Lloyd takes over Hanseatic Tours. July 13th 1997: Stranded at Hinlopenfjord, Spitsbergen. 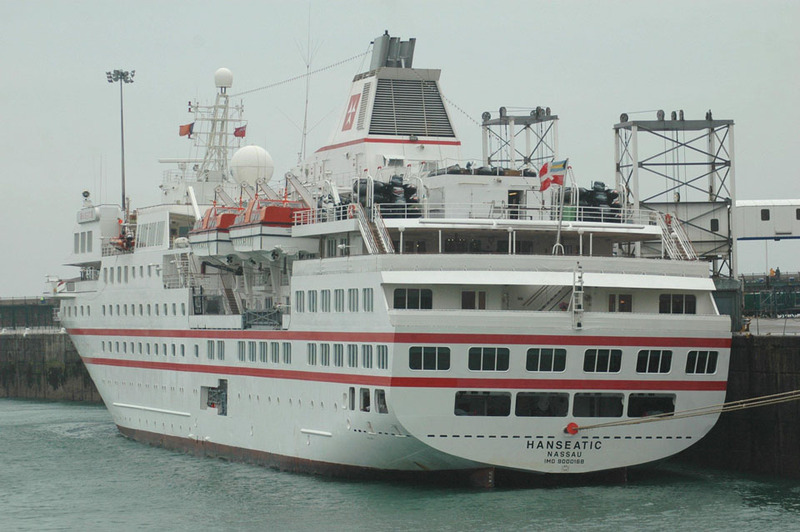 All passengers were evacuated. July 17th 1997: Re-floated and repaired. 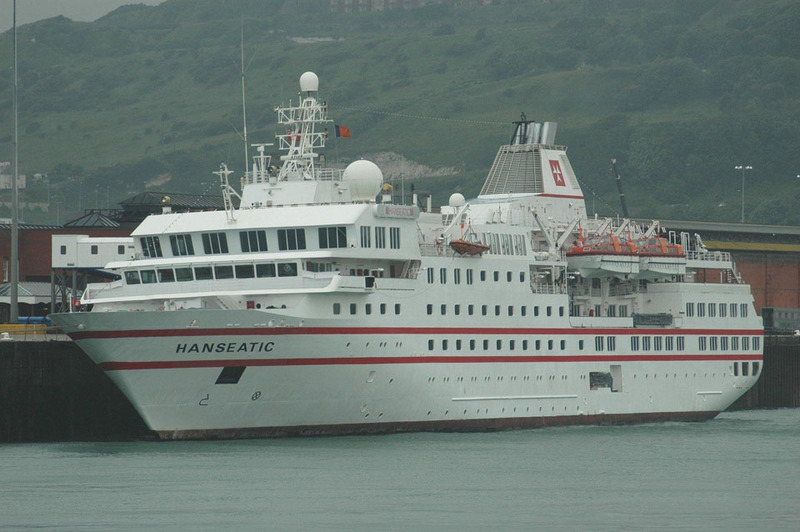 December 15th 2002: Berthed at Lyttelton, New Zealand after a voyage at reduced speed from the Chatham Islands. 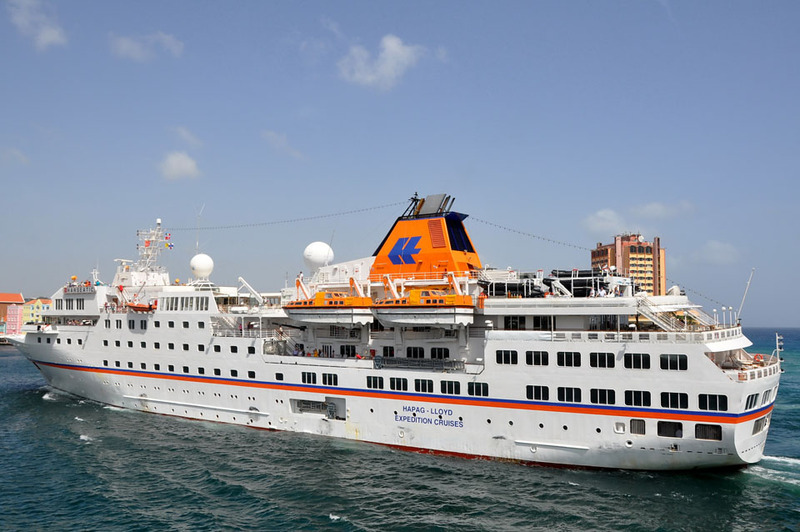 The ship was struck by a rogue wave which broke one of the bridge windows and damaged electrical systems. The ship was on a coastal cruise around New Zealand. 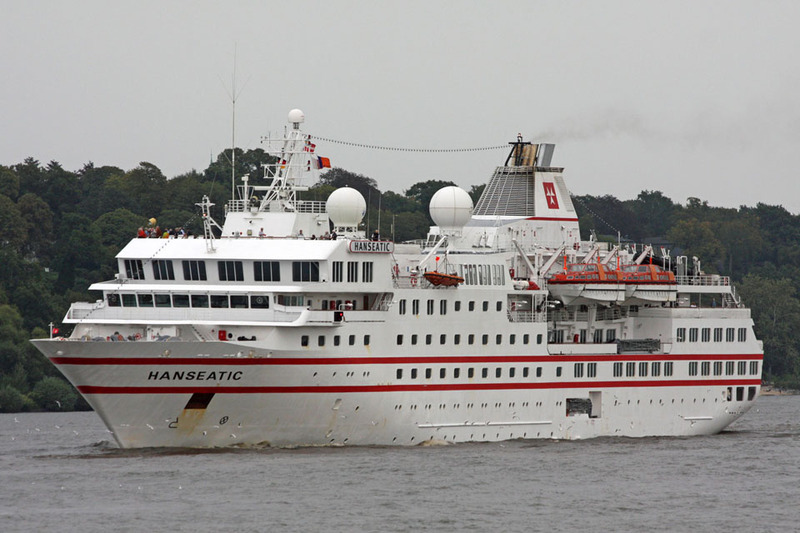 August 21st 2005: Grounded 22 miles south of the Polar circle, near the Norwegian island of Lurøy. 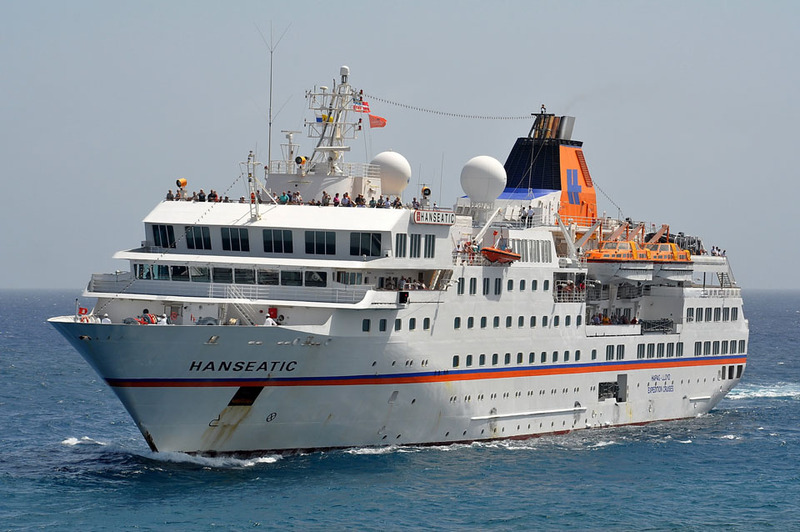 Her 161 passengers were flown back to Germany the following day, no injuries were reported. 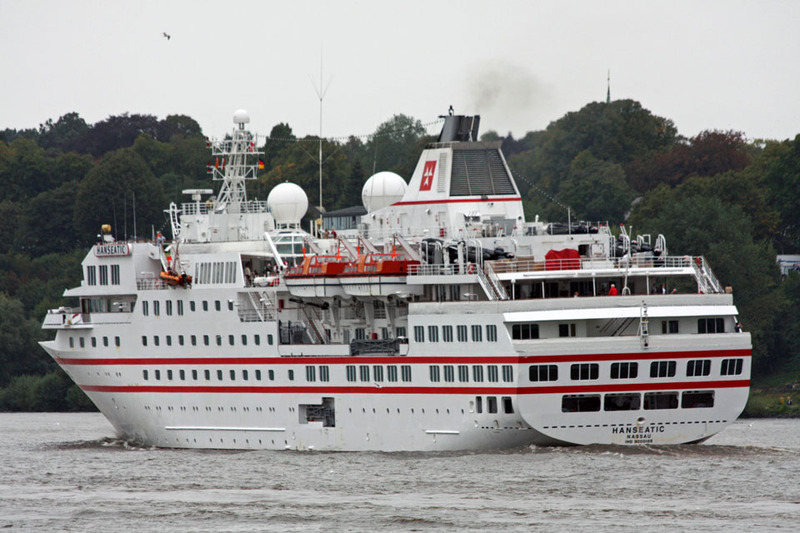 A five-meter long gash in the ship¹s ice-strengthened double bottom has been reported. 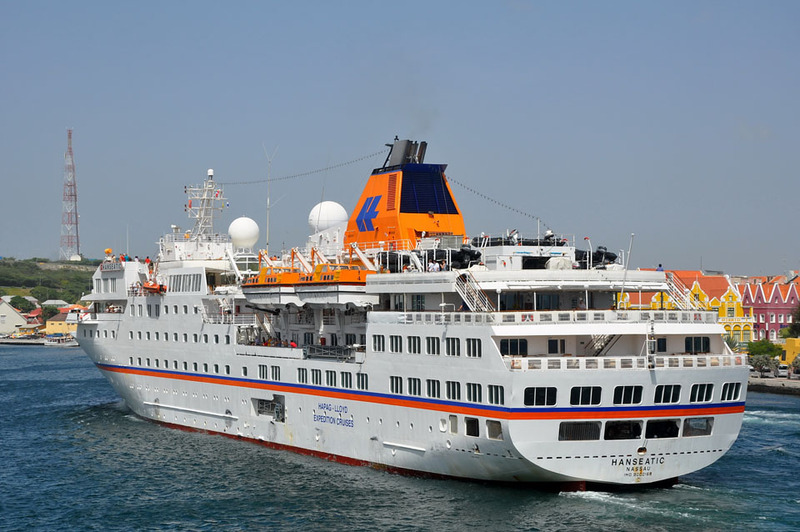 Hapag-Lloyd, yet to announced which yard will repair the ship, confirmed that the next scheduled voyage ­ set to depart Kiel for Norway on August 25 had be cancelled. 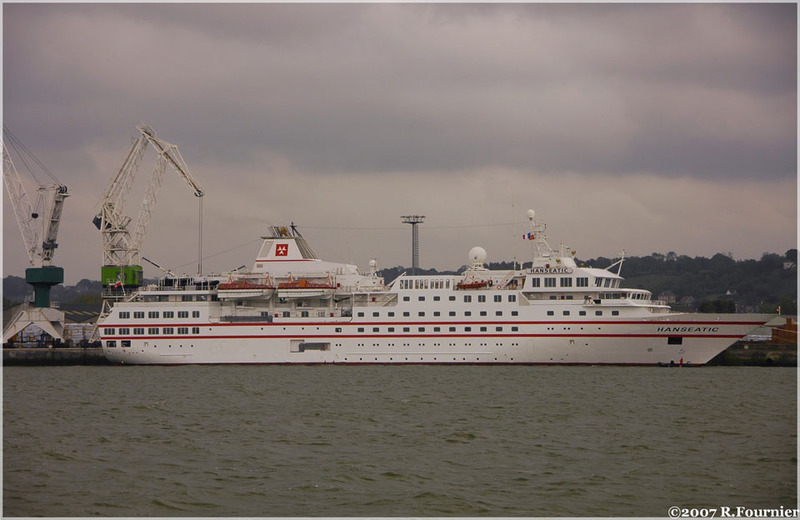 September 2005: To Blohm & Voss, Hamburg for repair. All information is believed to be correct and no responsibility is accepted for any errors or omissions. All items included in this article are subject to © copyright. We would like to take this opportunity of thanking: Jens Boldt, Cees Bustraan, Robert Fournier, Ingvar and Dieter Potts for their assistance in producing this feature.